begin to understand and identify beliefs you need to clear! Let me keep you informed of discounts and specials. HOW ARE LIMITING BELIEFS FORMED? Most of our beliefs were indoctrinated into us by well-meaning parents, elders, teachers, and authorities. They wanted us to believe what they believed. Why? Because their beliefs worked for them to survive and thrive, and they wanted us to survive and thrive.They wanted us to behave as they behaved, because it worked for them. You were born into an existing system of cultural beliefs, religious beliefs, political beliefs, language-based beliefs, and family beliefs and traditions. Some of these belief-histories go back thousands of years. Laid on top of that were beliefs from our modern media culture such as TV, movies, and music. 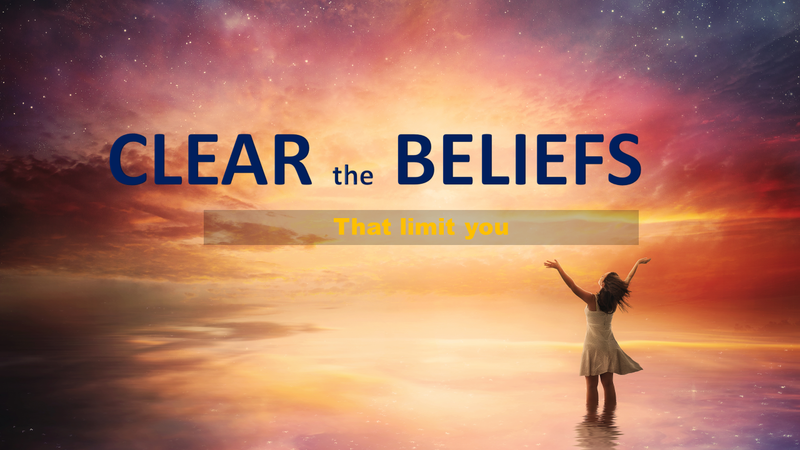 This Course is designed: to help you become capable of clearing you own beliefs. As you listen to Lion you'll understand the research and development of the methodology called Clear Beliefs. Then Coach Doris will facilitate your experience of belief clearing methodology and the development of your personal practice to clear your own beliefs. Creator of the Clear Your Beliefs program.